Gf had her braces done with Dr.Ton (just had them removed today!). His office and staff are beyond professional and go above and beyond to keep you comfortable and informed. Highly recommended. She is very happy with the results!! – Raymond Y.
Dr. Vu was very professional and thorough. I couldn’t believe how white my teeth were after the cleaning! I love the two TVs in the room when your work is being done, and they have a very modern X-ray machine as well as a scanner to detect oral cancer. Very impressive! The staff was all very friendly and the waiting room even has a play kitchen for when I need to bring my kids! I will be back for sure. 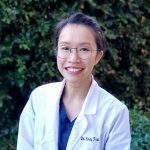 – Kat N.
Great dental office with friendly staff! Dr. Ton and his staff are very professional, knowledgeable, and caring. I came in for a cleaning and Dr. Ton provided quality patient care and made sure that I was comfortable. He listened to my concerns and provided explanations in layman’s terms. He was also very gentle and thorough during the dental procedures; I did not feel a thing! I was also very impressed with his new office. Very nice, spacious, and clean with high quality dental equipment. If you’re looking for a new dentist, I’d highly recommend him! – Mel T.
Beautiful office! Great staff! Professional and friendly. Dr. Vu and Dr. Joey and staff took good care of me and my dental needs. I was quickly in and out in no time. Highly recommended if you’re looking for a new dentist in the area. – Tho T.
Haven’t been to a dentist for several years because all my past experience has been terrible due to long wait times, unfriendly staff and poor results. 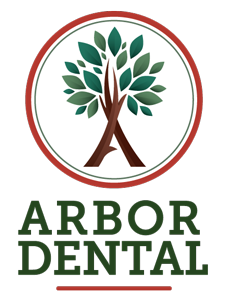 I’ve finally had the courage to make an appointment with arbor dental mainly because of the proximity to my place. My first impression of this place was that it clean and comfortable which is expected from a newly opened business. The staff was very friendly and prompt. I initially had an issue with my insurance but the experienced staff was quick to solve the issue. As far as the results, I couldn’t be any happier with Dr. Ton being my dentist, as he did an exceptional job with my deep cleaning and filling. The staff really cares about providing good service and that their patients are happy. I highly recommend Dr. Ton and I am definitely going to come back for any of my dental problems. – Vung H.
Wow what a great office! If you’re looking for a dentist, you’ve come to the right place. Dr. Vu was very informative and she was very gentle. I was not in any pain during the visit! I couldn’t have asked for a better experience. Thanks again! – Chau N.
Dr. Ton is one of the most pleasant practitioners I have ever met! He is always working to make sure the patient experience is efficient and painless. I wish all dentist were like those at Arbor Dental! – Dave J.
Dr. Ton was amazing! Explaining everything step by step for me to understand. He made sure I was comfortable throughout the entire process. Very professional and helpful staff as well! Definitely will stay with Arbor Dental and bring my families here! Thumbs up:) – Xiao L.
Great office! Very spacious and the staff couldn’t be anymore friendly! I came in for a crown and Dr. Ton was very informative and quick with the procedure. I enjoyed having the TVs in the room as sometimes it can get get boring as you are sitting there with your mouth open and waiting for your work to be done. The x-rays are awesome as well as it just took a snap of a camera and the x-rays were done. I remembered my some of my past dental offices I went to it was a pain to take x-rays. They would snap one x-ray at a time while having to leave the room then hit a switch and you’d hear a buzzing sound. Then if the negative came out wrong I’d have to do the whole process again while waiting for the film to develop. Well not here it was quick and painless. I was able to get my crown done within a few weeks and right before New Years! The color match is amazing and people don’t even realize it’s a fake. I’d definitely recommend coming here to get your dental work done. – Brice N.